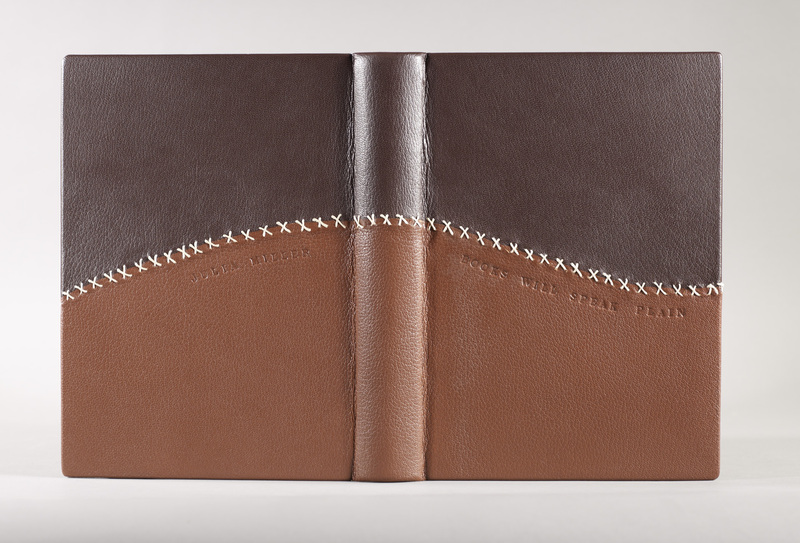 Full leather binding using two contrasting colors of leather sewn together to mimic a former repair, top edge colored to highlight knife marks, front and back cover blind-tooled, sewn silk endbands, handmade paste paper endsheets. Whitney Baker is Head of Conservation Services at the University of Kansas. She studied bookbinding at the University of Iowa’s Center for the Book and conservation at the University of Texas at Austin and the Library of Congress. She has been a professional conservator since 1998.